This post might quickly become one of my favorite posts of ALL TIME because it brings all of my southern gingham dreams to life:) Recently I have been so inspired by all of the southern bloggers that I follow and their fabulous styles have been killer this season! 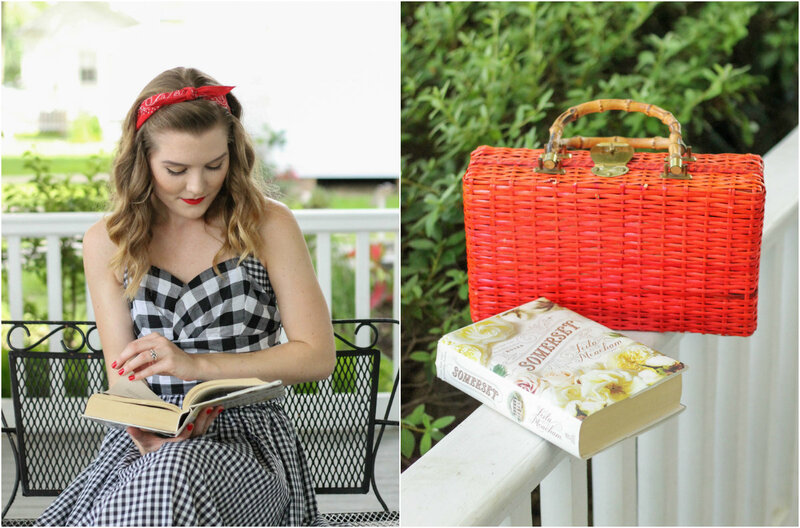 Because of that I knew that with this southern inspired ensemble I had to visit a place that reminded me of the south, so I went back to the porch of the house in this post which was perfection. 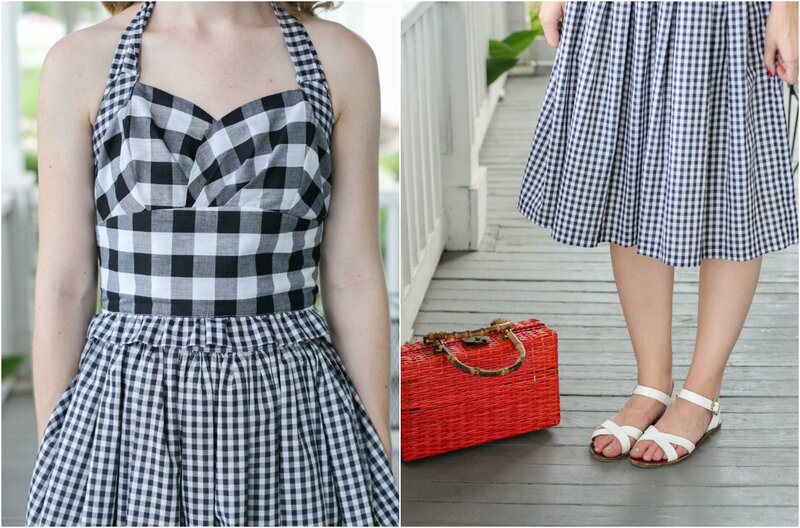 I don't know about you, but gingham is almost a neutral in my closet this season. Every time I don't know what to wear I always seem to reach for this skirt (available in my Etsy shop), and honestly it is probably the most styled piece on the blog (see it here, here, and here). This particular look is not exception since I now love this skirt even more after making this crop style blouse to pair with it, which really gives it a completely different look. 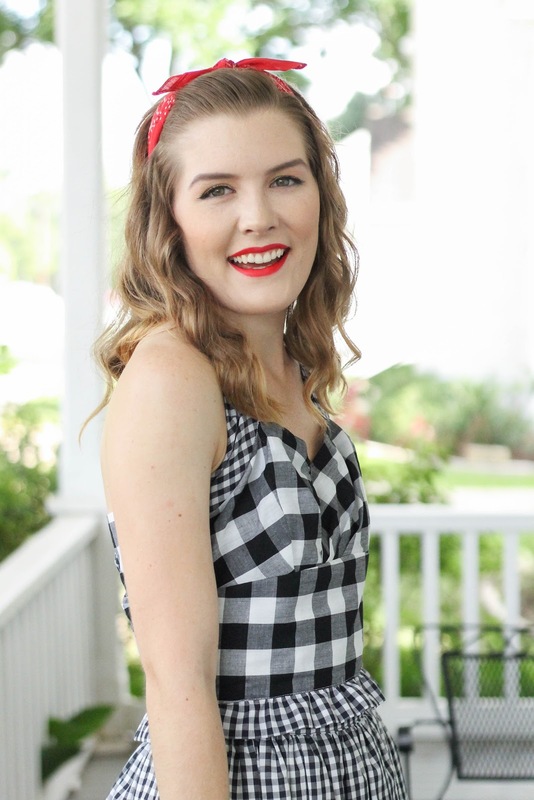 I had some extra gingham fabric lying around and I decided to mix up my design by using two different sizes of gingham to create this retro, ruffle embellished top. This is actually the first time I have made a halter style top, and at first I was a bit unsure of how I would like it (and if it would be modest enough for me), but I am thrilled with how it turned out and the buttons up back are definitely my favorite part. 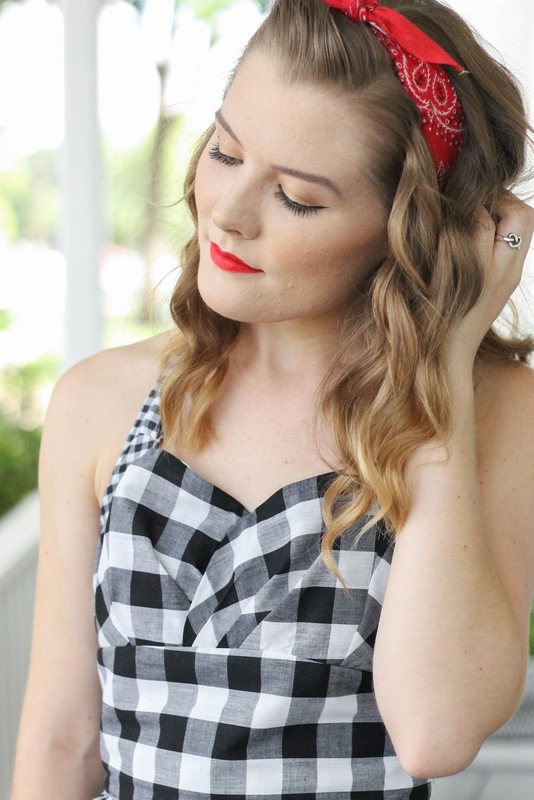 Anyone else obsessed with Gingham this season? 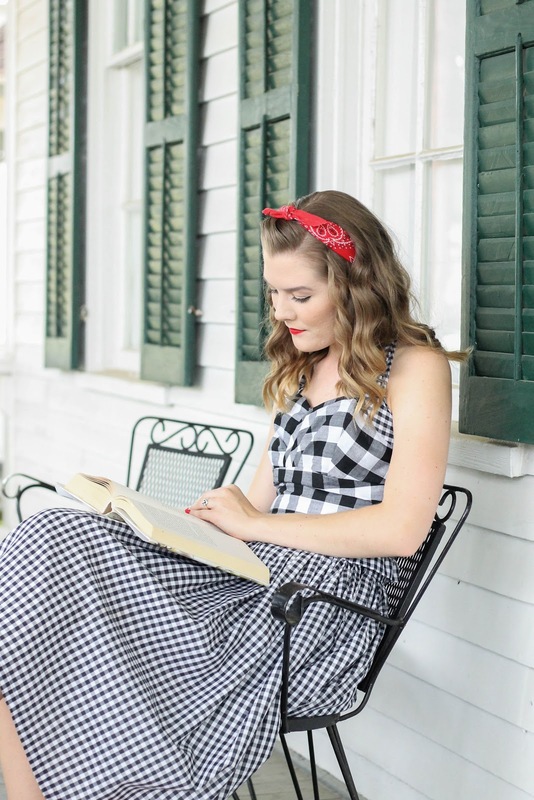 Are you a fan of southern history like me? I love the mix of the two different size ginghams together; its supercute. I might have to try something like that to get out of my comfort zone a bit. 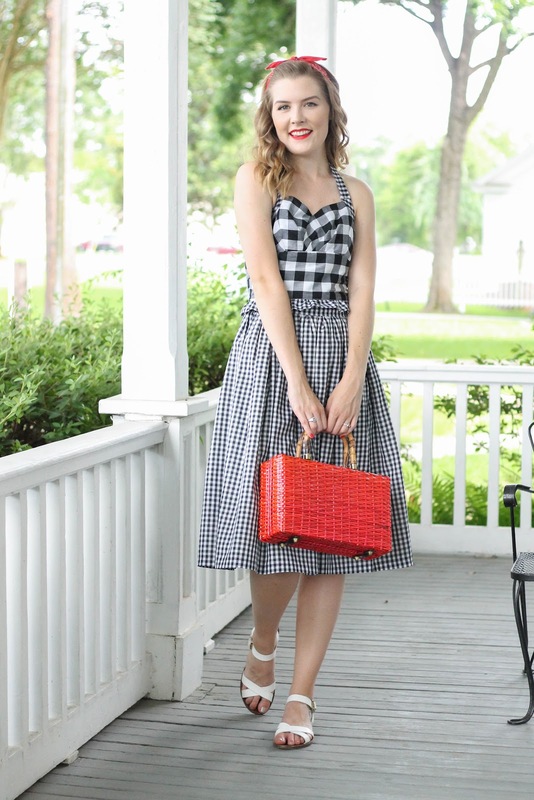 I'm not the biggest gingham fan. 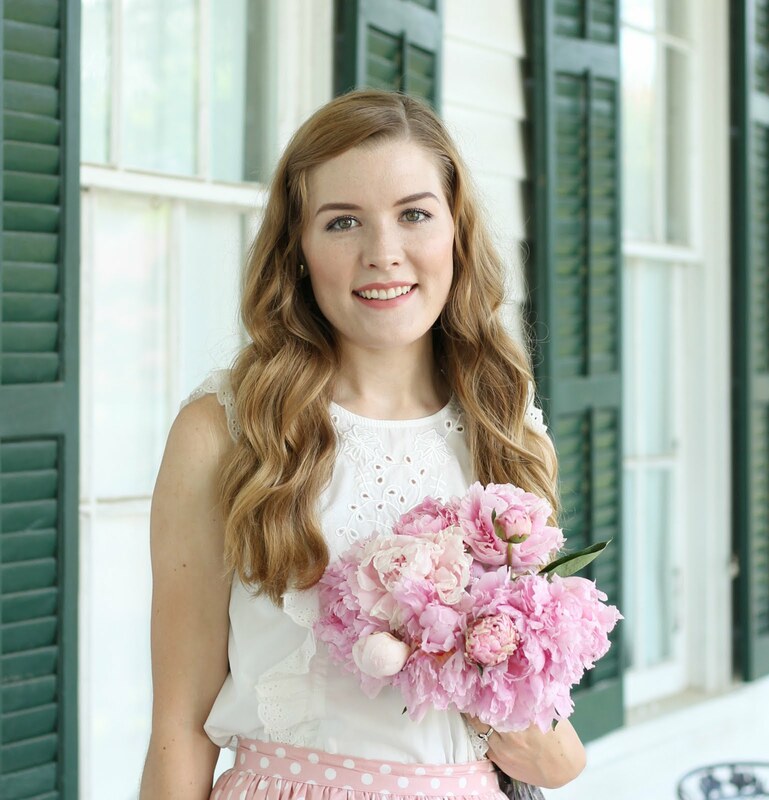 I'd have everything floral if I could. Thanks! You should definitely try it:) but gingham and floral are a great pattern mixing combo too! As someone from New England, I am actually a HUGE fan of the southern look! I've always wanted to travel down south and see the homes with the wide wrap around porches. You totally nailed the look! Absolutely gorgeous! 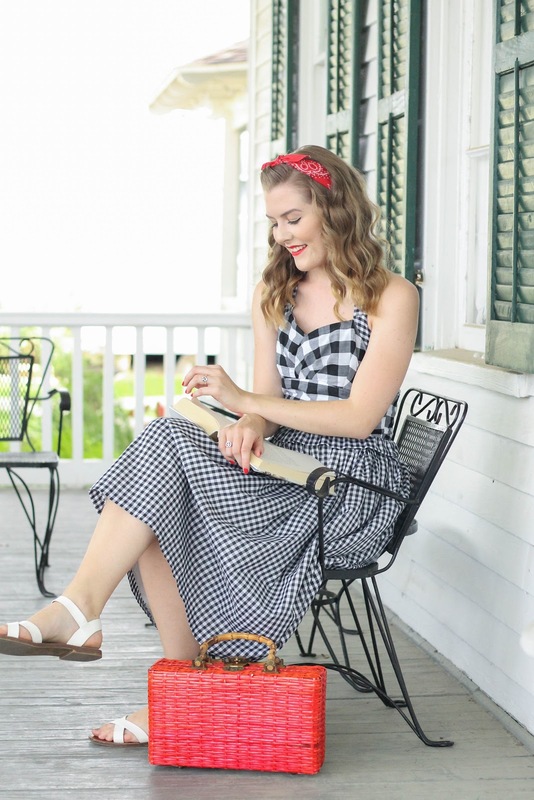 I love the way you styled the gingham trend. This look has like a pin-vibe to them. You have the most crisp and beautifully edited photos ever! What do you use to edit them, and do you have any tips?